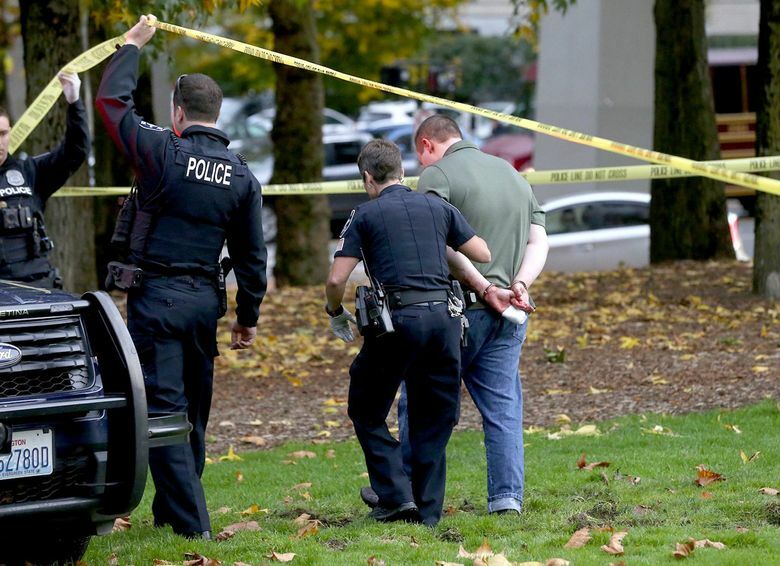 The day after a man fatally stabbed a 28-year-old mother in the Seattle Center Armory food court, a King County Superior Court judge found probable cause to hold David Lee Morris on investigation of first-degree murder. According to police, Gabrielle Maria Garcia was at MOD Pizza with Morris and the couple’s 5-year-old son Friday afternoon when she was repeatedly stabbed in the throat. Police arrested Morris, 29, near the scene. According to the probable-cause affidavit outlining the police case, one witness at MOD Pizza yelled at the suspect while another ran for towels to give Garcia first aid. A third witness threw a chair just before the suspect walked away. A fourth, Scott Brown, followed the suspect, then attracted his attention, talking to him and holding him at gunpoint until police arrived. Garcia was taken to Harborview Medical Center. She died a few hours later, said Susan Gregg, a spokesperson for UW Medicine. The King County Medical Examiner’s Office has not released the woman’s name or other details, but the affidavit included her name. Court records also indicate a troubled relationship. Garcia sought a temporary protection order against Morris on Oct. 9, which was granted by King County Superior Court, and reissued later that month. The court sealed details of the case. Garcia also began court proceedings about a parenting and child-support plan on March 4, which the court finalized Oct. 17. Mike Carter, a manager at Skillet Counter in the food court, was there Friday with his friend and fellow employee Scott Brown when the two heard commotion nearby. Carter remembers Brown saying, “I have a carrier’s permit and I’m carrying. Should I go over there?” Before he had a chance to answer, Carter said, Brown ran to the scene. “He was in no way looking to harm the man,” Carter said. “He was just trying to keep the focus on him until the police arrived.” In video of the incident, the suspect advances slowly on Brown, who backs up while keeping him at gunpoint. Morris has not yet been formally charged. His next court appearance is scheduled for Monday. News researcher Miyoko Wolf contributed to this report.